You are here: Home / News / reThink Grammar: It’s The Message That Matters! Students tell me they don’t write. They say they have no idea how to respond to prompts, how to add details, how to expand their thinking. Students state they can’t write because they don’t remember (or remember how) to punctuate or capitalize when they’re writing initial drafts. To make that happen, I’ve partnered with Jennifer Williams to create a series of Grammar in Context units for sixth through 12th grades. As we work on the unit, I’ve created a series of email professional development to help you change your mindset — your paradigm — of how grammar should be taught. Get rid of the expensive textbook. Use what your students already bring — their stories! Jennifer and I are so excited to share with you our progress on the Grammar in Context digitally delivered units we’re designing! 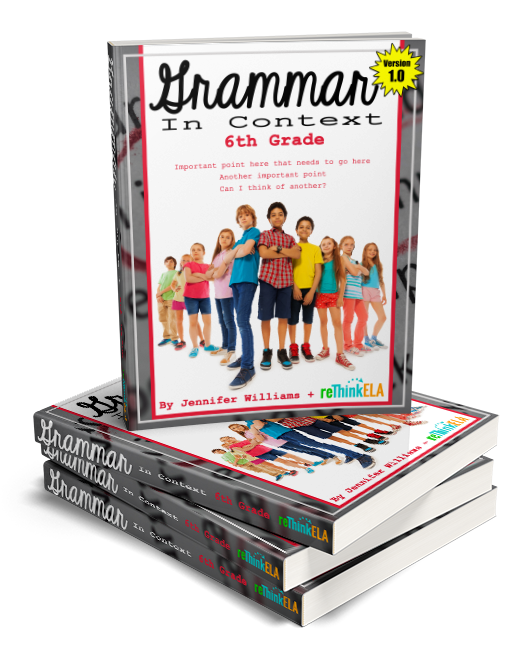 We started this project over the summer and have divided the major grammar concepts into five or six segments that will be taught each year from the 6th through 12th grades. We’ve also aligned these to Common Core State Standards and Oklahoma Academic Standards (since this is where we both live).We’re also creating mentor texts that you can use to help your students see how each grammar concept can be used in actual writing and writing prompts that you can use to help your students generate their own texts to practice with. We will be working extensively during her 2-week fall break to finalize the 6th grade unit, which we plan to release shortly before or after winter break. You’ll be able to hit the ground running with it during the second semester. I am also working on ways to enable school districts to order the units for teachers. 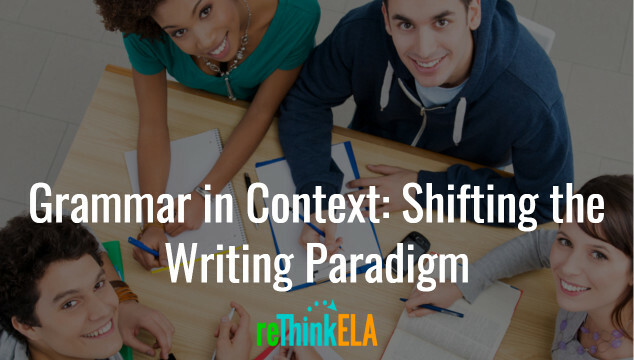 While you’re waiting, fill out the form below to register for Grammar in Context: Shifting the Writing Paradigm, an email professional development series that explores the theories behind our units and provides you with ideas for practical application once we release them. You can also text GRAMMAR to 444999 to register!